Daisy chains. 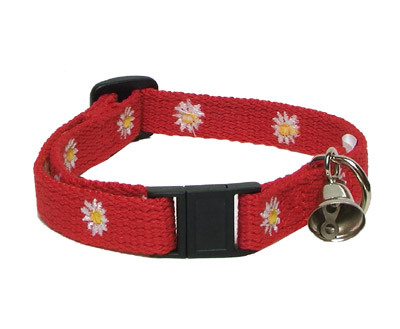 Red cotton webbing collars with white embroidery. Break-away plastic hardware keeps your feline safe, while the bell helps keep winged creatures out of peril. 1/2 ” collar adjusts from 7.5″ to 12″.